California knows how to put together a great plate of meat. From regional Santa Maria beef barbecue to imports from around the country, California is filled with some really good barbecue—and all the fixings. Here are the 10 best barbecue joints in the state. Dr. Hogly Wogly’s Tyler Texas BBQ is a barbecue legend in Los Angeles. People drive out of their way into the heart of The Valley to get a taste of the sweet smoky ribs. Spring for a bottle of extra sauce and don’t forget the pickles. Morfia’s is a relative newcomer to LA’s barbecue scene but the delicious Texas-style barbecue already has quite the loyal following. There’s not much room in the tiny space, but you can always take it to go. The Q puts a modern twist on Memphis barbecue. The casual spot has great deals and happy hours and offers a selection of wines and beers. Although it’s not strictly barbecue, the fried chicken is said to be worth a trip. Bull’s takes the time to slow cook all its meat, from ribs to salmon. The super casual place offers Texas-style barbecue and has a variety of additional treats, like bones for dogs and free ice cream for kids. Smoqued California BBQ takes pride in merging the country’s barbecue traditions into one to create a brand new “California” style of barbecue. Nachos, fries, and a vast selection of sides make Smoqued a unique spot to try a new kind of smoked meats. The Marshall Store of Tomales Bay takes the region’s famous oysters and barbecues. It’s not a standard barbecue joint by any means, but the barbecued oysters are not to be missed. Far Western Tavern is a no-frills throwback that serves up the regional specialty known as Santa Maria-style barbecue. Barbecued steaks make Far Western a kind of landmark steakhouse/barbecue hybrid. There’s always a line, so be prepared to wait a bit for the steaks that have kept the spot in business for decades. Hitching Post isn’t as well-known as its sister restaurant of movie fame, Hitching Post II, but both restaurants specialize in Santa Maria-style barbecue. Steaks and other cuts of beef and meat are flame grilled and seasoned to perfection. 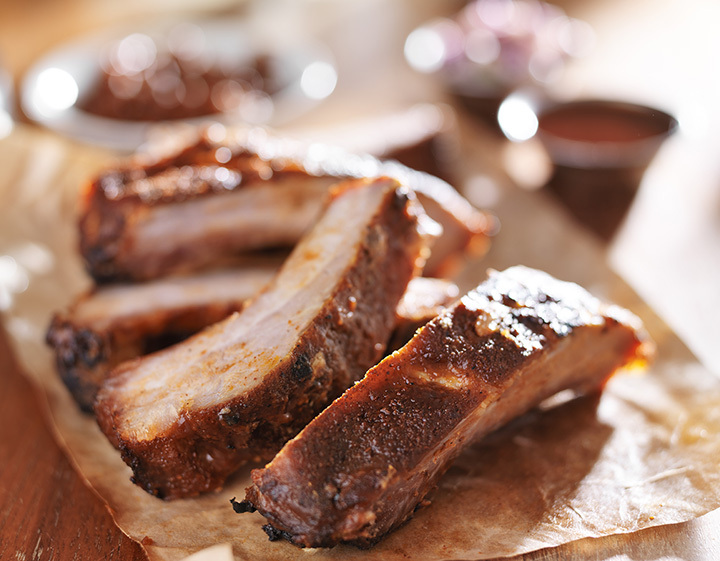 Phil’s BBQ has been grilling up mesquite flavored delights in San Diego for almost 20 years. From a small restaurant, Phil’s BBQ has grown to be a big deal in dining. Whether you’re scarfing down ribs or chicken, be sure to drown it in the famously sauce. Jocko’s is a family-owned restaurant just outside of San Luis Obispo. It’s a perfect stop for a road trip. The generous portions of barbecued steaks are hugely popular with locals and tourists, so make a reservation well in advance to be sure that you get a taste of the good stuff.